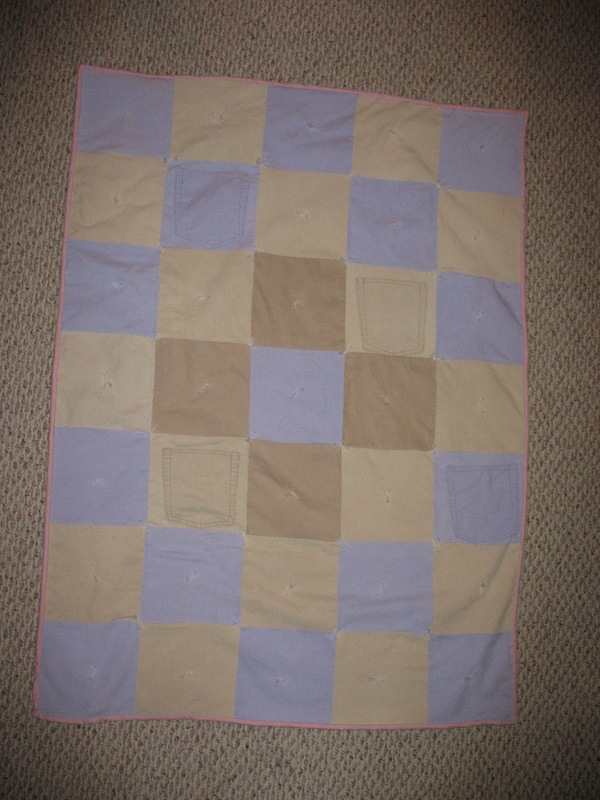 Reason: A friend gave me corduroy blocks that were already cut and pinned into a pattern. I like treats! 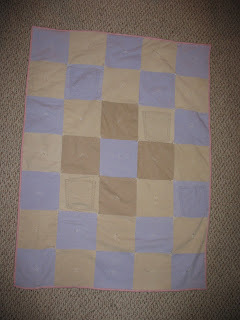 Fabrics: The backing is a pink sheet that another friend gave to me. Lessons: Corduroy frays a. lot. After I put it together I washed it and SO MANY seams frayed. I took the opportunity to use a pretty variegated thread and some fancy stitches and sewed over all the seams. Thoughts: A very good drag around the house, picnic on the kitchen floor type of quilt!